He had been upset and concerned that other customers were looking at him. A 52-YEAR-OLD SECURITY manager, who claimed he was falsely accused of stealing a mop, has lost a €75,000 damages claim for defamation in the Circuit Civil Court. Paul Donohoe claimed that in November 2013 he bought several items, including a mop, on the top floor of Dunnes Stores on Henry Street, Dublin. Donohoe told barrister Shane English, counsel for Dunnes Stores, that he asked the cashier to put a store sticker, as a proof of purchase, around the mop which was too big to be put in a Dunnes paper bag. He said he then picked up grocery items in the basement area of the store and started to scan them at a self-scan checkout. He had left his previous purchase and a plastic carrier bag on the floor while he was scanning the grocery items. He claimed that a Dunnes employee approached him and told him “make sure you scan the mop.” He said he explained to her that he had already purchased the mop and he then proceeded to buy his grocery items. The court heard that when he was about to leave, he was stopped by the same employee who told him “you never paid for the mop”. Donohoe, of Canon Lillis Avenue, Dublin, said he felt he was being accused of stealing. He had been upset and concerned that other customers were looking at him. He sued the store for defamation. Dunnes Stores, which had entered a full defence to Donohoe’s claim, denied the incident happened in that manner. It claimed the employee had been concerned that someone had forgotten their items, as they were a metre away from Mr Donohoe and that the plastic carrier bag left on the floor constituted a tripping hazard. Mr English, who appeared with Nathaniel Lacy & Partners solicitors, said Mr Donohoe became irritated when the employee approached him and asked if the items lying on the floor belonged to him. Donohoe had answered “yes, I paid for those upstairs, I have a receipt for that”. He had then approached himself the employee, with a receipt in his hand. Judge Karen Fergus, dismissing Donohoe’s claim, said she was satisfied that he had overreacted to the employee’s “legitimate enquiry”. 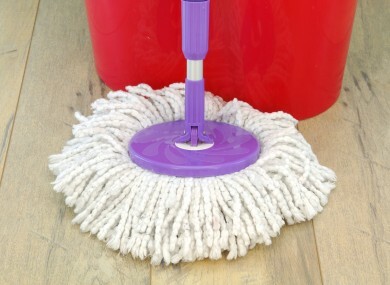 Email “Man falsely accused of stealing mop loses €75k defamation claim”. Feedback on “Man falsely accused of stealing mop loses €75k defamation claim”.